November 19, 2018 – Benon wants to be known for being a humble man, who is always seeking knowledge and wisdom. This semester Benon is hoping for good health and high grades! 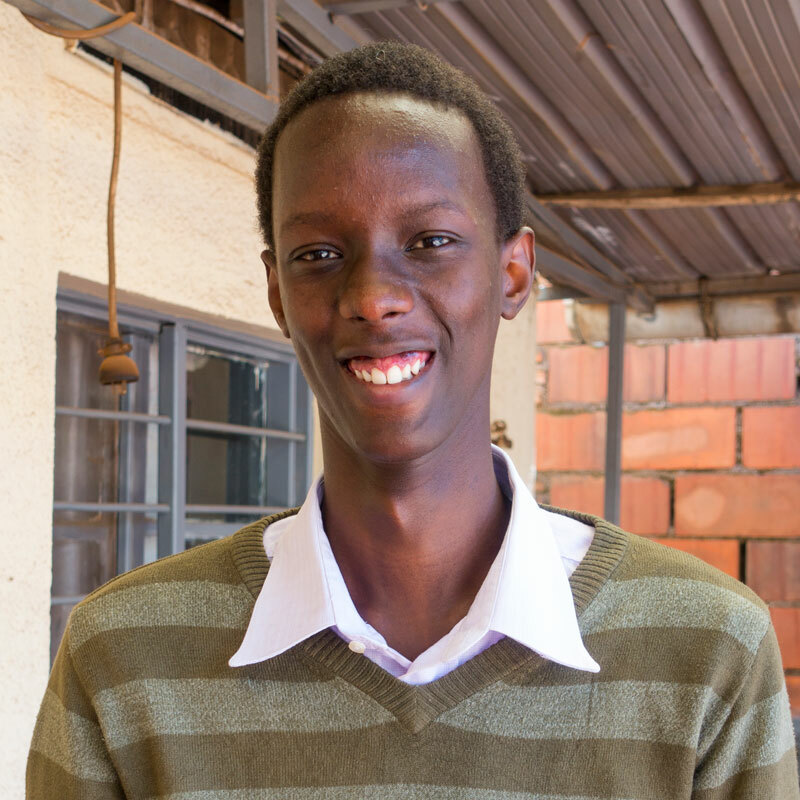 July 7, 2018 – This school year, Benon took some challenging classes, but he worked hard and believes he was able to finish well! This summer, he is looking forward to getting a job so that he can challenge himself and gain experiences to help him with his future business! May 12, 2018 – Benon values his family and friends, because they are the ones who have made his life so full of joy! March 25, 2018 – When Benon was younger, he hoped to be a successful businessman who had the ability to employ people in his community who are in need of jobs. In five years, with God’s help, he hopes to own his own business in his community and fulfill his dream of employing people who are in need of jobs! Feb 27, 2018 – Benon has a lot of people who inspire him–his parents inspire him to work hard, one of his uncles inspires him to be a good business man, and another uncle inspires him to be more generous and loving! Jan 25, 2018 – The most interesting book Benon read recently was, Know Can Do! Put Your Know-How Into Action by Kenneth Blanchard. Dec 18, 2017 – On Christmas, Benon says that people usually go to church, wear new clothes and eat special meals that have meat! A word Benon thinks his friends would use to describe him is “humble” because although he is quiet, he tries to put others before himself. Nov 11, 2017 – Benon is thankful for the opportunity to have joined the These Numbers Have Faces family! He says that sometimes he doesn’t really like Christmas, but he likes joining his family and friends while they celebrate. Oct 8, 2017- Benon spent his holidays volunteering in a legal support institution for three months. Benon is very excited to go to a new campus in another part of the country that he’s never been to. He also hopes to experience and practice his leadership skills. Benon grew up as the first-born son of a large family in a small farming community, where it was challenging to meet their basic needs. As he saw his classmates turn to drugs to ease their pain, his focus was on being a role model for his seven younger siblings. He modeled his work ethic after his mother and father, who always strived to pay for their kids’ school fees so they could rise from poverty. Focused on others above himself, Benon decided to study Agricultural Economics to help both his family and his community as a whole by giving them the education necessary to revolutionize rural farming practices and bring sufficient clean water to his village.